What I do at Eaton Vance: My primary responsibility is to select and review corporate bonds within the industry sectors I cover. I make investment recommendations based on my analysis of fundamental credit quality and relative value. "I am constantly learning from new tasks and from the people around me." Why I love coming to work: The work I do every day makes a meaningful contribution to the group, to the company and to our clients. I am constantly learning from new tasks and from the people around me. 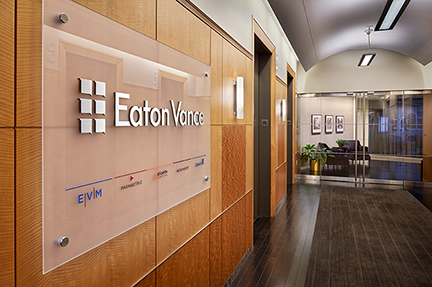 What fosters success at Eaton Vance: Because markets can be unpredictable, the most successful people are those who embrace new challenges and adapt to changing situations. They have the ability to look at things a little differently than everyone else, while maintaining a sense of humility — and a sense of humor. My favorite Eaton Vance moment: The opportunity to relocate to London when I was an analyst in the Bank Loan Group was a unique experience that allowed me to broaden my global perspective.